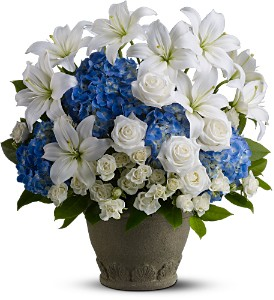 is elated to Celebrate the Life of this extremely rare and wonderful awakened male soul. Born in the west, and guided to the east, this gentle man devotes his life to the betterment of the lives of women and girls inside the slums of India. He is a testament to the belief that women will always work for their growth, and usually carry most of the weight in any situation of struggle. His work thrives through a philosophy that athletics and education are the keys to positive change for all, especially for GIRLS. 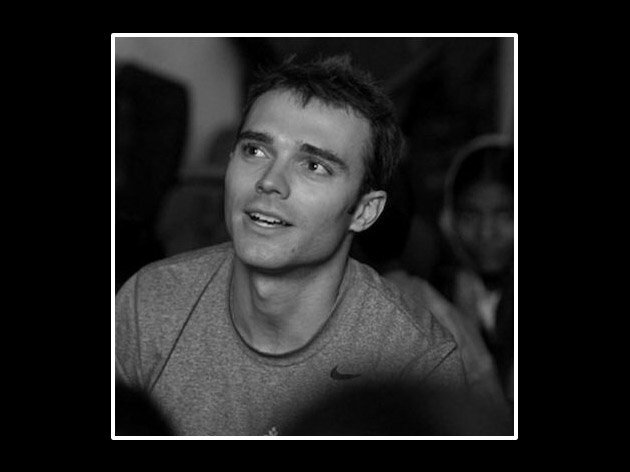 American living in rural India using team sport to empower girls. Franz grew up in Edina, Minnesota, and has been living five years in India — four of those years in a tribal village in Jharkhand. He has a BA and MA in International Political Economy from the University Professors Program at Boston University and holds certificates in negotiation and mediation from the Program on Negotiation at Harvard Law School. He interned at the Ministry of Finance in Bogota, Colombia, and worked as a consultant to the Confederation of Indian Industry, India’s biggest business lobby, where he worked with corporate executives on social strategies. He trained at the US Olympic Training Center in judo, played ice hockey as a goalkeeper, and coached alpine skiing for twelve years. 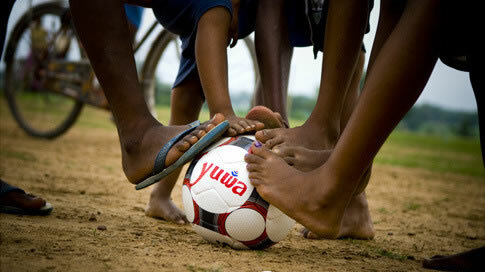 Through football (soccer), Yuwa provides a platform for young women to make a change in their world. Team sport serves as a powerful platform to combat child marriage and human trafficking, and to get girls back into school. We operate in Jharkhand, India’s top region for human trafficking, with the highest prevalence of child marriages and second lowest female literacy rate in India. 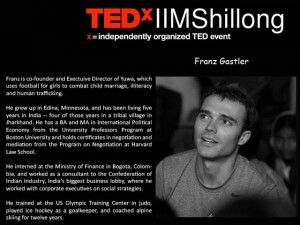 In this talk Franz Gastler talks about how he came to India and decided to live in in a remote village of Jharkhand teaching football to young girls as a means to instill confidence and bring about social change, one girl at a time. Franz Gastler is the Founder of Yuwa, a Non-Governmental Organization that promotes football for girls as a platform for their social development. A BA and Masters in International Political Economy from Boston University besides graduating from a program on Negotiation at Harvard Law School and was a consultant to CII, working with company executives on social strategies when he came to India. Yuwa currently has 255 players among 18 teams in its fold. He trained at the US Olympic Training Center in judo, played ice hockey as a goalkeeper, and coached alpine skiing for twelve years in USA. Cynthia K. Buccini says: “By 2009, Franz Gastler had been working in India for about two years, for a business lobby and later for a nongovernmental organization involved in rural development, and was fast becoming disenchanted with desk jobs and NGOs. He wanted to get his boots muddy, to work with children, and to make a real impact on the lives of the impoverished. “I thought I could do it better,” says Gastler (UNI’05,’05). Gastler appears to be doing just that. In 2009, he created Yuwa, an NGO that teaches girls to play soccer (called football outside the United States), and promotes health and education. Yuwa, which means “youth” in Hindi, started out with about 15 members, most of them under 13, and has grown to approximately 250 girls 10 to 15 years of age. Several are now coaching Yuwa teams or have gone on to play for the state team. Gastler says the girls have gained confidence, learned teamwork, and become better students. “Their lives have been transformed,” he says. 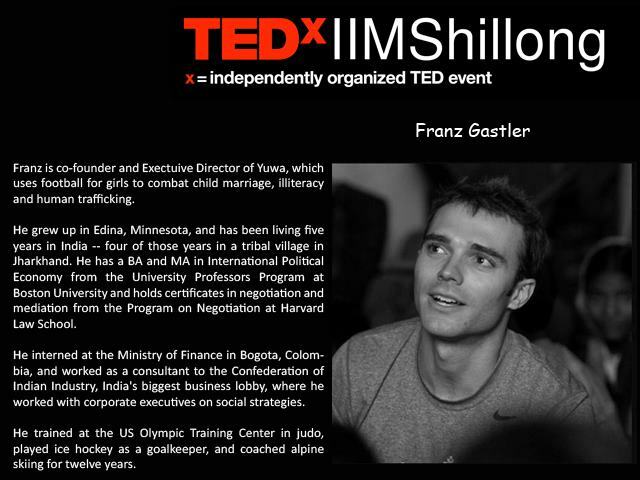 Gastler founded Yuwa while teaching English in a tribal village in Jharkhand, one of India’s poorest states. Jharkhand has among the highest child mortality and malnourishment rates in India, and child marriage is prevalent in its rural communities, according to UNICEF. Gastler recalls an offhand conversation with one of his students, a girl of about 12 named Suman, about her desire to play football on the weekends. He offered to coach a team if she found the players. Recruiting other girls turned out to be the easy part. Suman went house to house, gathering cousins and neighbors. But persuading their parents to allow the girls to play required some diplomatic skills. Gastler faced resistance from the women, he says, who rely on their daughters to help them at home, washing clothes, carrying water, and planting rice. Then they began competing—and winning—beating more seasoned teams like New Delhi and Maharashtra. 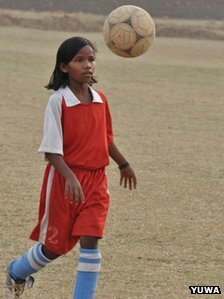 Seven girls from Yuwa’s first team went on to play for Jharkhand’s under-13 football team. In a 2010 article about Yuwa, Sports Illustrated India wrote that the state team rocketed to a rank of number 4 in India, up from 20 the previous year. The wins, Gastler says, are a barometer of how much the girls are enjoying the game. Another sign is the dedication of the girls now participating in Yuwa. They come on foot, some walking for 45 minutes to get to practice, and some on bikes. 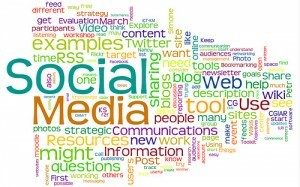 Average attendance is 22 or 23 days a month. 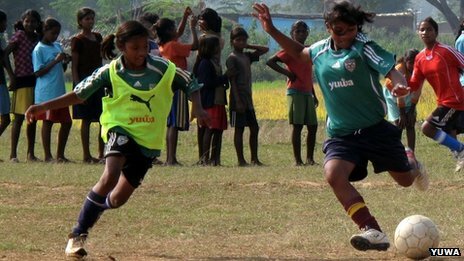 Ten of the girls have become coaches for Yuwa, and four have been picked up by the India national team. The media and the soccer world have taken notice. Besides Sports Illustrated India, several local newspapers, as well as Bloomberg Businessweek, have written about Gastler and Yuwa. Members of the Philadelphia Independence, a U.S. Women’s Professional Soccer team, have visited the program. And in 2011, Yuwa won a $25,000 microgrant from Nike, through its Gamechangers program, to build a pitch. “The fields we played on were owned by different people, by villagers,” Gastler says. The organization bought a half-acre plot of land from a local schoolteacher and built a pitch with stadium lights and a classroom that’s almost double the size of the local school. Those expectations are different now, Gastler says. Team captains keep track of school attendance, and girls have been putting off marriage. He notes that the first team, the one Suman organized, included three girls who were a bit older —16 or 17. None of them married until after they were 18, he says. And three other girls from the first team went on to college. Some are determined to become professional soccer players. The organization has won fans beyond soccer. Anurag Gupta, inspector general of organized crime at the crime investigation department of Jharkhand, says Yuwa has come up with a way to empower girls. This year, Gastler has expanded Yuwa, adding a team in the Mumbai slum of Dharavi. He wants to create a program to help prepare the most dedicated Yuwa girls for universities or careers. “It would be a bridge program for girls who up until now have not gotten a very good education,” he says. He also wants to build an online academy to train those who want to replicate Yuwa in other parts of India. Yuwa participants have been told “it’s OK to have big dreams,” says Gastler. “We’ve stoked their sense of curiosity. “I was always immersed in organized sports and used to be surrounded by great coaches my entire life. Additionally, I’ve been teaching kids to ski as a ski instructor for over 10 years. 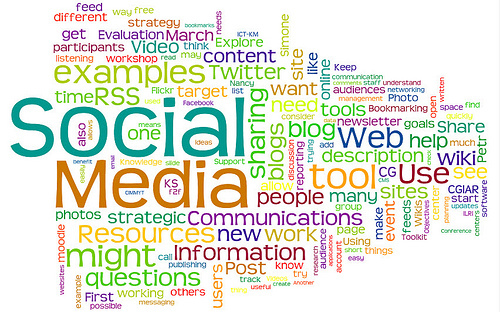 So, coaching itself is not new to me,” he says explaining how he managed to do it. He also learnt skills and coaching drills over the internet. welcome this male into our global alumni of positive change makers, for his ‘love in action’, and for his respect for women and girls with open arms. Team Celebration looks forward to many a collaboration during the balance or our mutual journeys. Filed Under: Contributors, MAN of ACTION™, Uncategorized Tagged With: A Celebration of Women, Bogota, Boston University, certificates in negotiation and mediation, charity, child marriage, Colombia, get girls back into school, girl's sports, girls in school, Harvard Law School, human trafficking of children, India, International Political Economy, Jharkhand, MAN of ACTION, men, Ministry of Finance, philanthropy, Program on Negotiation, University Professors Program, women.